Appealing photographs of baby girls from around the globe celebrate diversity, as well as the potential within all girls. 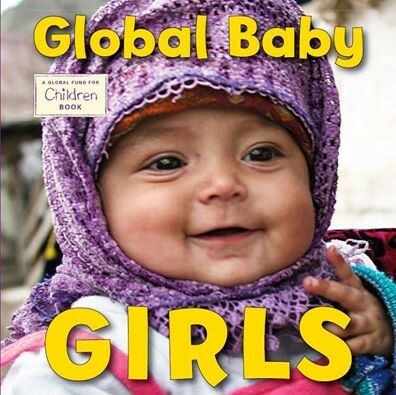 No matter where they are born, baby girls can grow up to change the world. Global Baby Girls was developed by The Global Fund for Children, a nonprofit organization committed to advancing the dignity of young people around the world. Baby girls are precious, but they are not valued everywhere. Part of the proceeds from this book's sales will be donated to support innovative community-based organizations that provide opportunities for girls to grow, thrive, and be strong. For more books for very young children, visit our Infant & Toddler Books section.